Bongo Boogie Snook engages kids while inspiring a love of musical instruments. 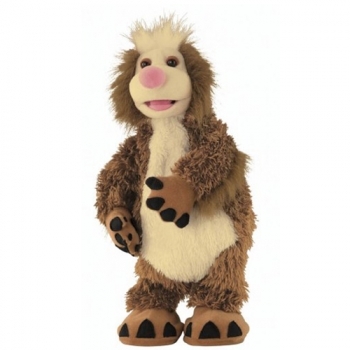 Snook is a plush mechanized pal that comes with a jungle bongo for your child to play. Press Snook's foot to wake him up. He will prompt you to play the bongo which will get him to dance. When the bongo is played, Snook will show off his hilarious dance moves. Snook dances to three different songs. Requires 3 "AA" batteries, included. Measures 12" x 6.5" x 15".